SuperJazz in a group that presents four concerts each year at John Carroll Catholic High School in Birmingham, AL. 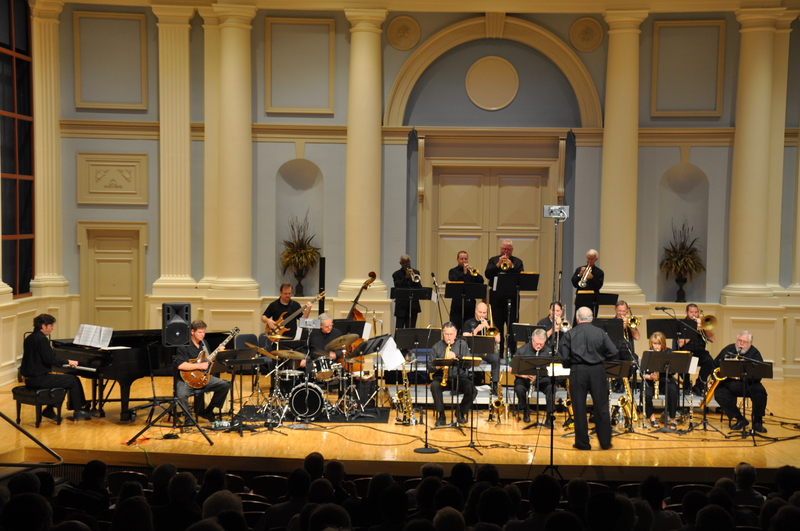 Comprised of 21 of Birmingham’s top Professional Jazz Players, SuperJazz has performed concerts in the Birmingham area each year since 1978. All members of SuperJazz volunteer their time for rehearsals and performances. The band features a traditional instrumentation of 5 saxes, 5 Trombones, 5 Trumpets and a rhythm section. The program for each concert is structured around a variety of styles, encompassing music from different eras. Concerts are always on Sunday afternoons, at 3:00 in the afternoon. There is a modest charge for admission, which is shared with the John Carroll High School Band and Band Parents Organization, who sponsor our performances at John Carroll. This also helps cover the cost of printed programs, postage, and purchase of new arrangements.